Ajay was a year and 6 months old was taken to a day care centre as his mom had to go back to work. His mother spoke to a lady in charge and left. Ajay looked for his caregiver who soon left him to see another kid. He was scared as he saw some older children screaming and pushing and pulling and playing. He wanted to go home but could not see his mother. He then tried to color something when a older kid snatched off his crayon another child stamped his hand He cried and held his fingers No one consoled him, he had to do it himself. 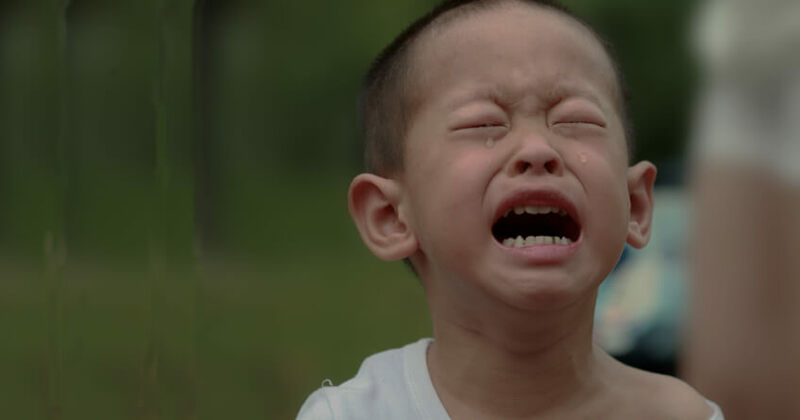 Every morning he would cry when his mother left him at the entre .later try to pacify himself. Few months later he stopped crying but as he entered the class he kicked a child and pushed him to get the blocks he wanted. An older preschooler took those away from him, so Ajay snatched the blocks from a younger child, who started yelling. He did not know what to do with them so, so he threw them down. He picked up several other toys nearby and threw them. Suddenly one of the women was there yelling at him and holding his arm very hard. She was saying lots of things to him, and now she said, "time out," and put him on a stool. He tried to get up but she wouldn’t let him. She went away. He didn't like this place. He wanted his mother. He wanted to go home. What Ajay is learning in this child "care" center is almost everything we would not want him to. He is learning to be aggressive, cranky, may be fearful and certainly not happy. In metros today with more and more working mothers it has become a necessity to put children in day care centers or offer out of home child care. If this is done well it can be a very enriching experience to the child and also be very supportive to the parents. But are we really providing quality care to these children? It is even more alarming if the child needs some special care. These could be preterm babies, infants with some disabilities or with some other sensory and behavioral issues. Among the many concerns the first and foremost is the inadequately trained person taking care of the child. The early childcare issues in our country is addressed very poorly even in the moist elite child care centers. The most fundamental requirements of the infant, toddler care centre is the ability of the centre to support the infant or toddler a secure base offering security and intimacy. This means the individual should be sensitive to respond to the child’s needs, form attachment bonding. It means we need to provide a single care giver. In a preschool setting this is virtually impossible. What tends to happen is some centers provide an ayah as in charge to clean and keep the baby. Rarely such a person offers a stimulating environment to the child. In the preschool; setting the programs seem very impersonal and with others it is not a stimulating environment for the Childs early years. Ayah at home does not provide a stimulating environment Yet Out-of-home child care for infants and toddlers, if done well, can enrich children's early experience. It can also be a therapeutic component of services to at-risk children, providing a safe and consistent base for protection, prevention, and treatment. For children not yet mobile, ZERO TO THREE (1992) recommends that group sizes should be no larger than six; the caregiver/infant ratio should be no more than 1:3. For children crawling and up to 18 months, the group size should be no more than nine, ratios no more than 1:3 (explorers are active and need a watchful eye). For children 18 months to three years, group size should be no more than 12, ratios, 1:4. Centers, group homes, and family day care homes with mixed age groupings should never have more than two children under two years of age in a single group. Infants and toddlers with disabilities who do not require special medical support can easily be included in environments with this suggested ratio and group size. Children with disabilities are children first; the care they need is often exactly the same as the care typically developing children need. High quality care for infants and toddlers must be in small groups, with appropriate ratios. There must be time for relationships to be established. There must be time for caregivers to learn and practice the different ways they will need to relate to children in the first three years of life—being very available in the earliest months, and then helping children to "find their wings" as development proceeds. Group care should be a place where all children, caregivers, and parents form deep, meaningful, and satisfying relationships that support both the family and the full development of the children. We need to make it happen.